Universal gap filling adhesive. Bonds wood, plywood, hardboard, chipboard, laminated plastic, brick, rigid insulation material (except polystyrene), metal, stone, breeze block, ceramics, concrete, sand/cement screeds, plasterboard, cement composite boards, G.R.P. Interior and exterior use. 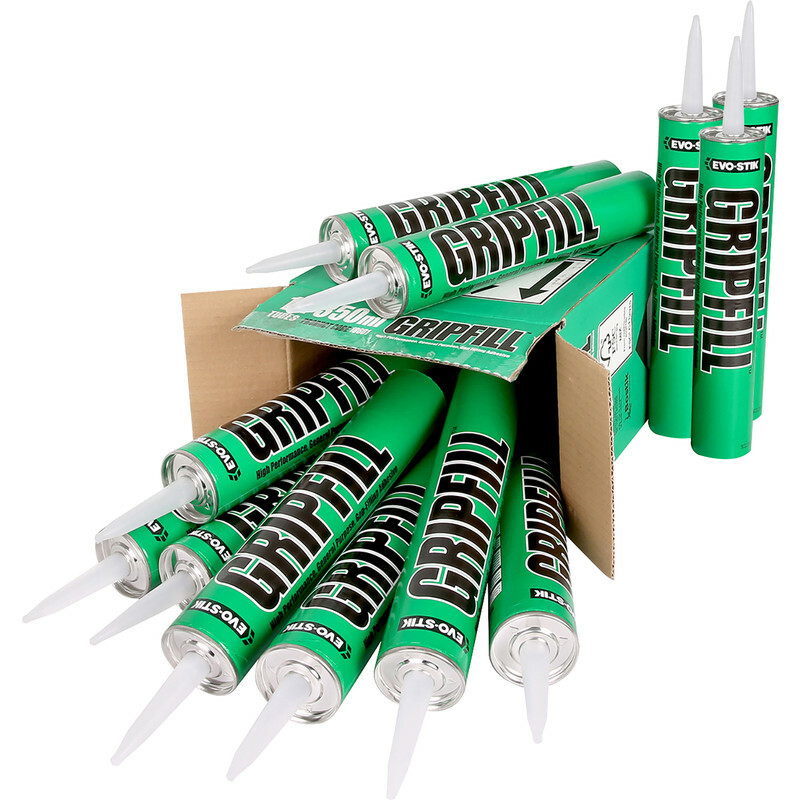 Gripfill 350ml Solvent Based (12 Pack) is rated 4.4 out of 5 by 41. Rated 5 out of 5 by Beaminster Handyman from Amazing Stuff Execellent for repairing, sticking things together permanently. Rated 5 out of 5 by Arrr from Fantastic product I bought this product about %^~ weeks ago and regret it because toolstation keep nagging me for a review. It is an adhesive and I have not yet used it so cannot report on its efficacy but I would assume it works as well as it has in the past. Rated 5 out of 5 by CDUB from LOVE THIS STUFF I always use this for cement based products,copings, paving steps etc.It never lets me down and outside in all weathers 10 or more years later it grips as well as the day it cured.Stick it on with cement and cracks and even failure can be your lot,not with this stuff. Rated 5 out of 5 by JOHN12 from Gripfill Good quality grab adhesive.